Vanessa wrote a comment/response yesterday to the post: Pinzimonio–olive oil dip. …which prompts me to share a simple story (and recipe) recounted in my cookbook--Delicious Dishes for Diabetics. Many years ago I had lunch in a tiny worker’s café in the centre of Florence only open at midday. 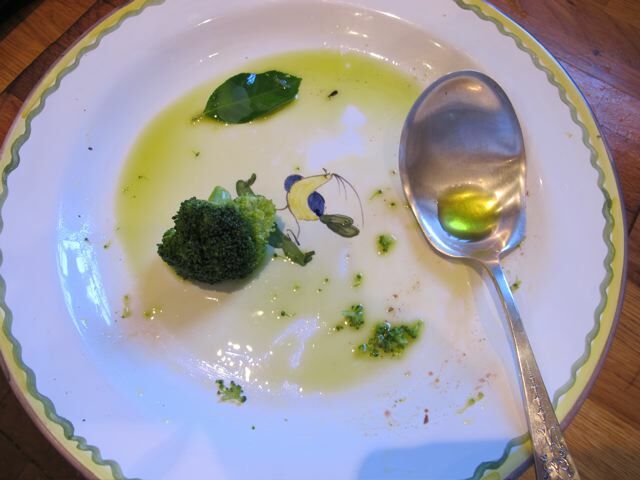 I watched the owner put down a plate of steaming broccoli–that was all there was on the plate–in front of a burly Italian and place a large jug of olive oil and salt & pepper beside it. The man poured on the oil, seasoned the irresistible plateful and began to eat. Of course, he may have had a veal chop after I left! 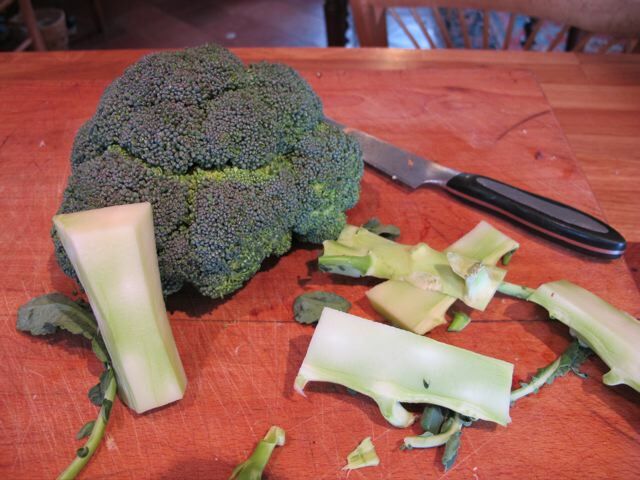 Steam the broccoli until tender, but careful not to overcook it–the colour dulls. Test from time to time with the end of a sharp knife. Transfer to a serving bowl and pour over the oil–be generous. Season to taste and mix carefully. 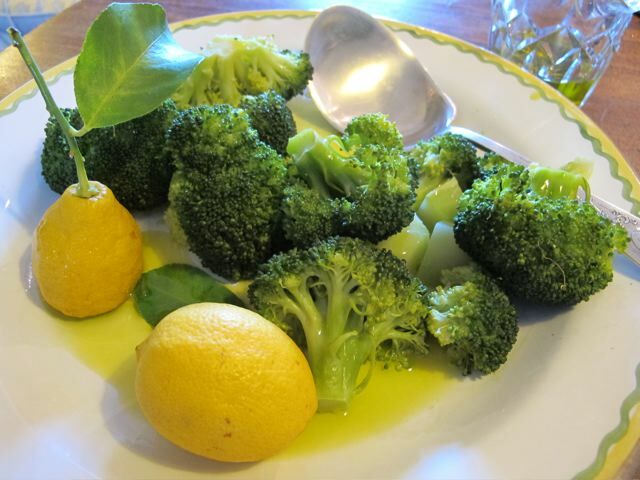 Serve with a small jug of olive oil for those who are never satisfied–and some lemon quarters. Simple eating is good. I am entranced by the fresh lemon. Living in the States, Maryland to be exact, I have never seen nor tasted a fresh lemon. I bet the taste is so incredible compared to grocery store lemons. Dear Robin, I’m so thrilled to see how many posts your have written with wonderful recipes that are great and tasty even for us without diabetes. We should all eat well and healthy (both are important). I have moved on from Poldark to other Masterpiece Theater series (as Poldark came to an end!!! ), but I still continue to visit your blog. You continue to inspire long after Poldark is over. You have much to choose from. They just celebrated 40 years of Masterpiece Theatre!